Alt.Estate token, ALT, has been around since 17/10/2018 and works without requiring a reserve bank or single administration. The decentralized cryptocoin is not mineable, so instead, you are able to purchase ALT through an exchange. It utlizes the proof of work (pow) consensus and SHA-256 algorithm. 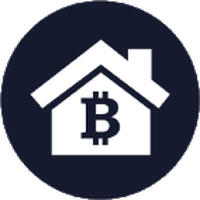 Alt.Estate token are on social media sites such as Reddit, Twitter, Telegram and Facebook, so check them out to stay updated with the latest news. We don't have any exchanges listed for Alt.Estate token yet, check back soon! We don't have any wallets listed for Alt.Estate token yet, check back soon! We don't have any debit cards listed for Alt.Estate token (ALT) yet, check back soon! We don't have any price charts listed for Alt.Estate token yet, check back soon!